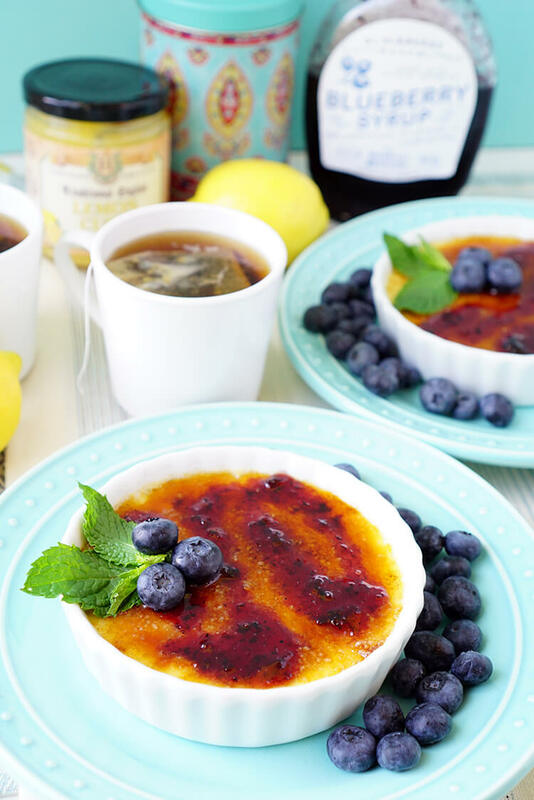 Today I’m partnering with Cost Plus World Market to bring you this creamy and decadent Lemon Blueberry Crème Brûlée dessert recipe. 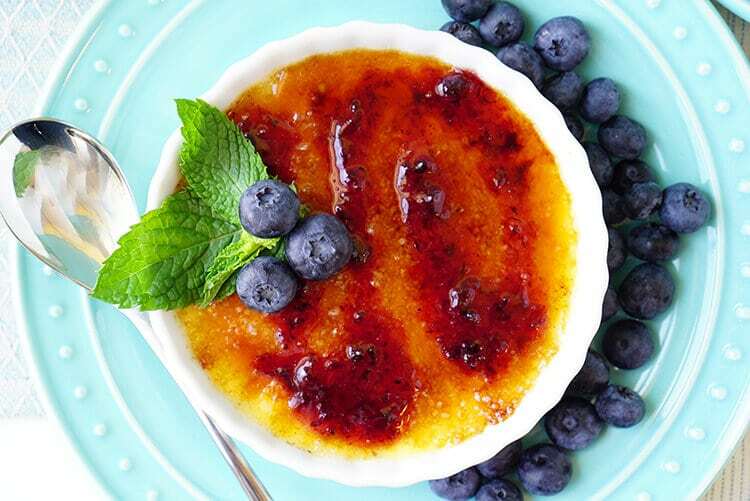 Tart lemon and sweet berries are the perfect combination in this luxurious and impressive dessert that’s easier to make than you might think! 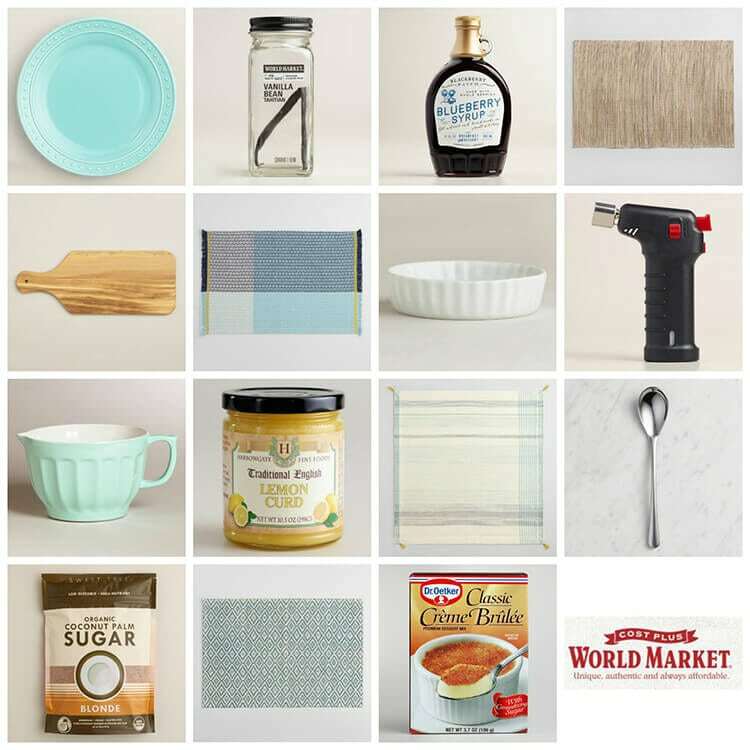 The other day I went shopping at one of my favorite places to wander the aisles, Cost Plus World Market – check out my haul! 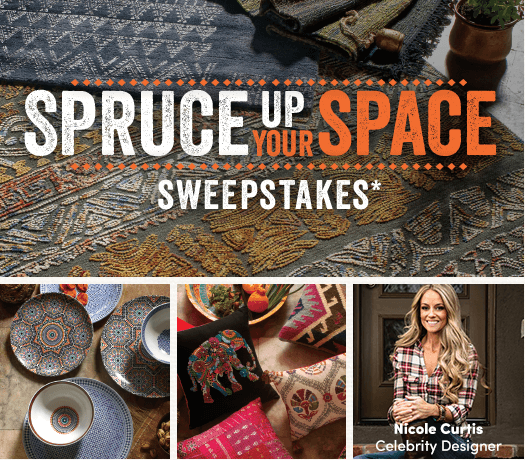 There’s a mini torch, yummy international foods, sparkly placemats, and napkins with tassels and crochet trim! 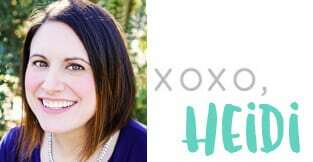 You really can’t get better than that! 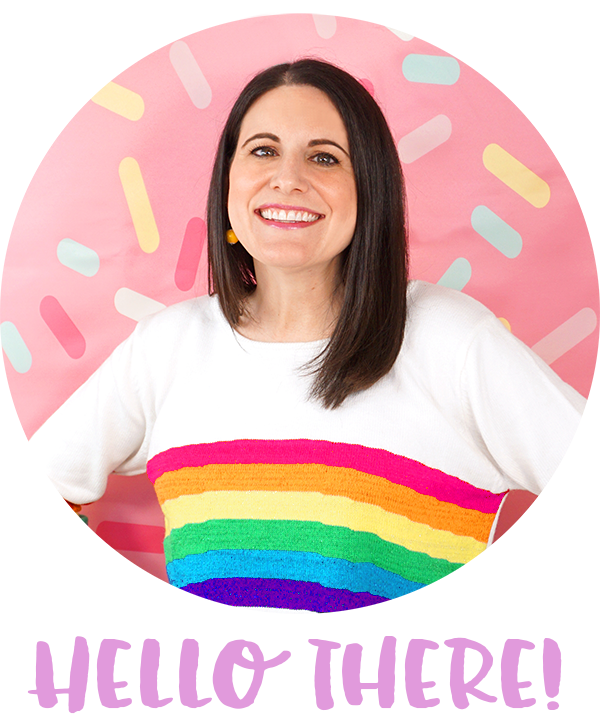 The International Food aisles are one of my favorite things about Cost Plus World Market, and on this shopping trip, I found myself drawn to their selection of French food. 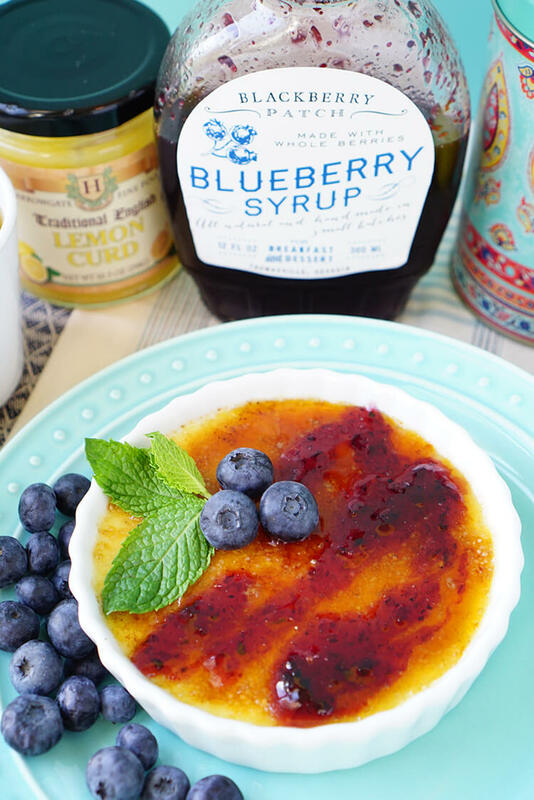 This quick and easy creme brulee mix caught my eye, so I picked it up along with a few vanilla beans, lemon curd, blueberry syrup, and coconut sugar. 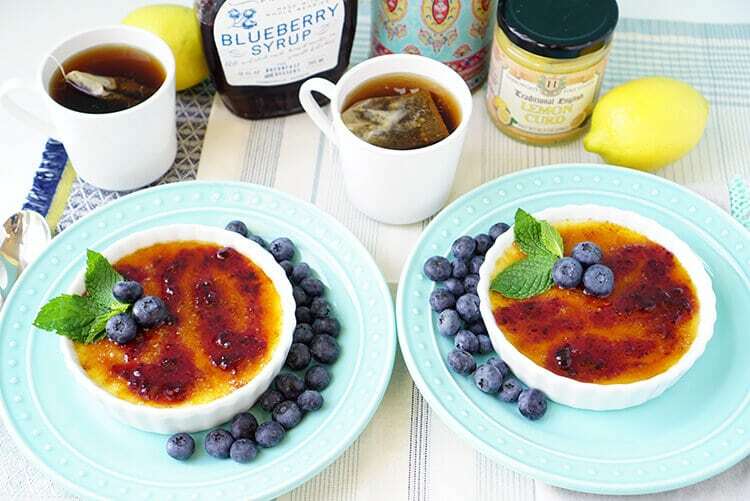 I had visions of a scrumptious lemon blueberry creme brulee recipe brewing in my head before I even left the store! 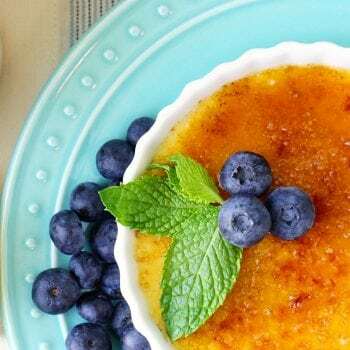 Once I got home, I decided to save the packaged creme brulee mix for another time, and I opted to make it from scratch instead. 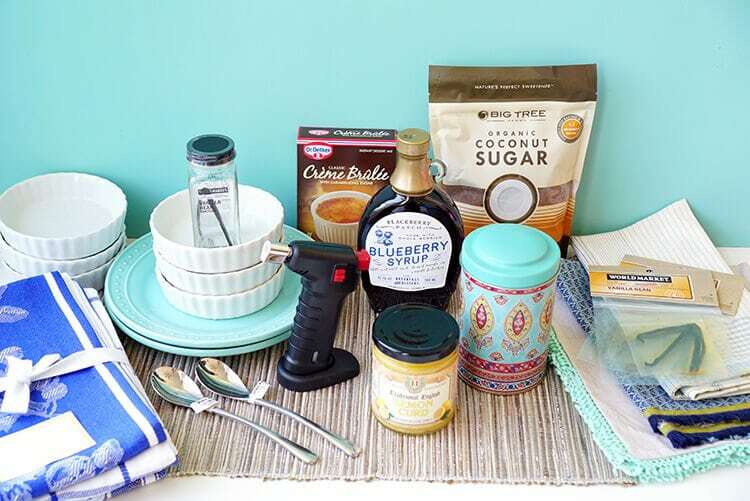 All it took was the addition of some fresh cream and eggs – easy peasy! 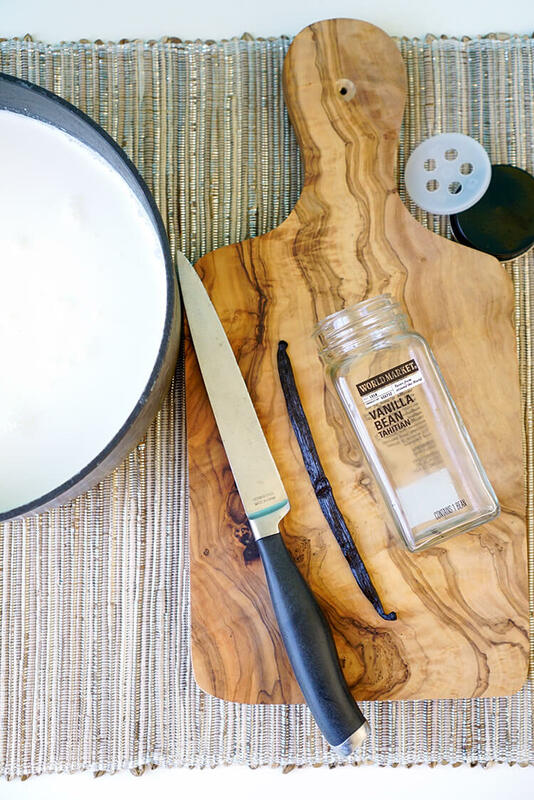 Start by scraping the seeds from a vanilla bean pod, and adding them a pot of cream. I tossed the entire vanilla bean into the pot with the cream (and then removed it later) to add a good punch of flavor. Heat the cream and vanilla until it begins to lightly boil. 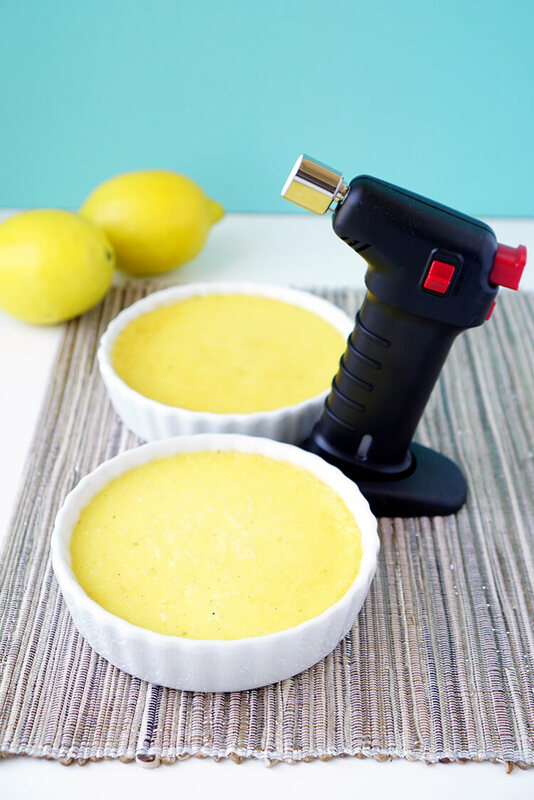 Remove the cream from the heat and allow to cool for 15 minutes (remove the vanilla bean pod at this time). 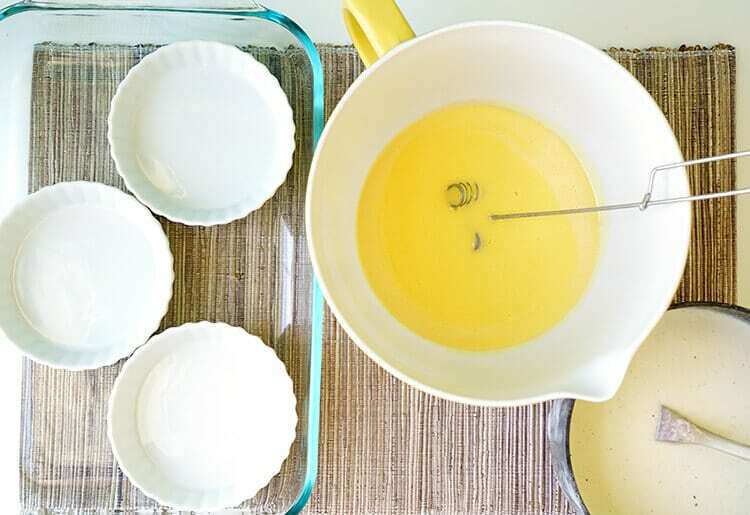 In a mixing bowl, whisk together the coconut sugar, egg yolks, and lemon curd. In spouted batter bowl (or similar vessel), carefully combine the cream and the egg mixture, whisking the entire time. 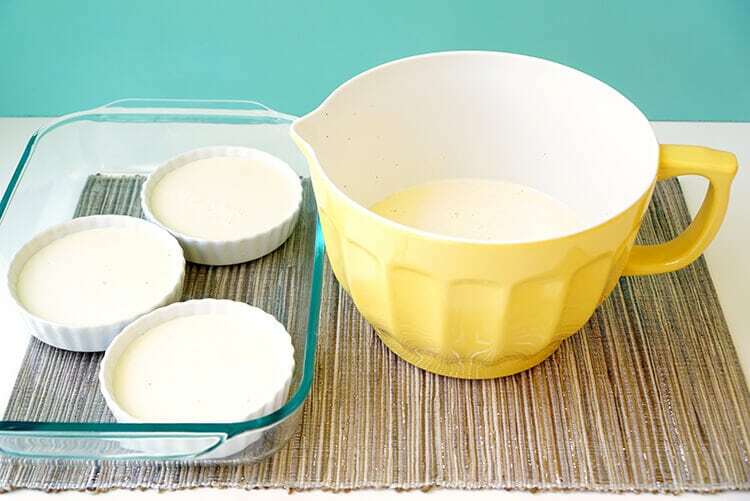 Divide the mixture evenly among the ramekins, and place the ramekins in a shallow baking dish. 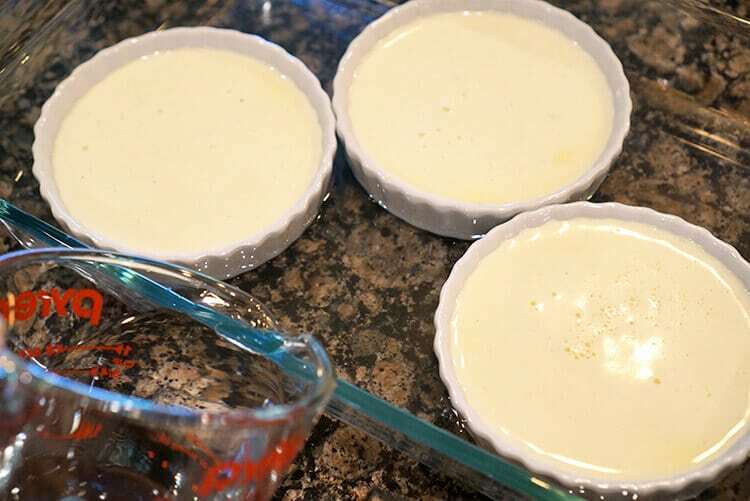 Add water to the baking pan until the water level reaches about halfway up the ramekin. 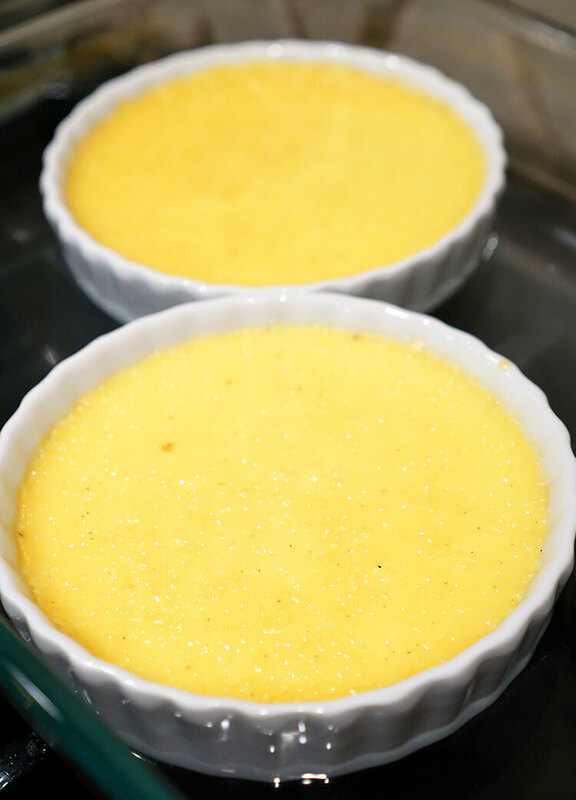 Bake for 35-40 minutes until the creme is set, but still slightly jiggly. 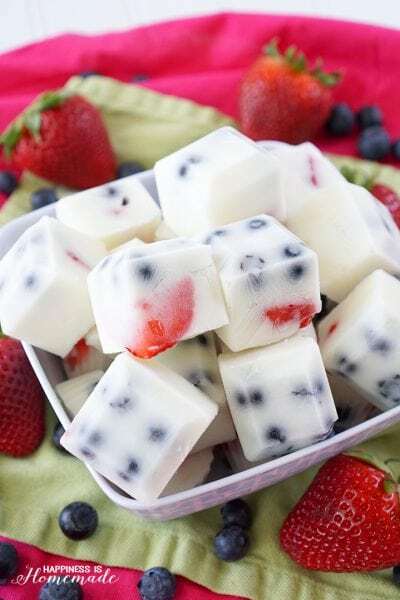 Cool in refrigerator for 2-3 hours. 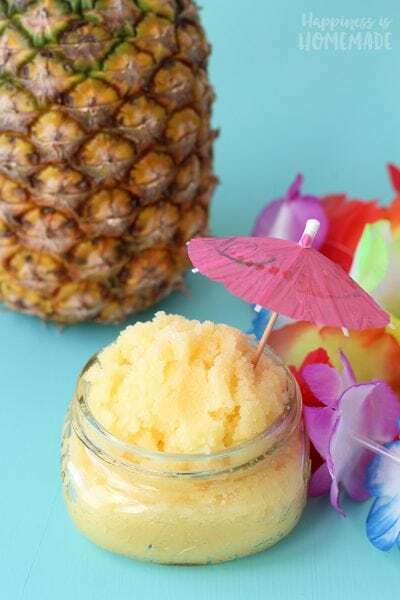 Sprinkle the tops with sugar (I used a mix of white sugar and coconut sugar), and turn on the torch. 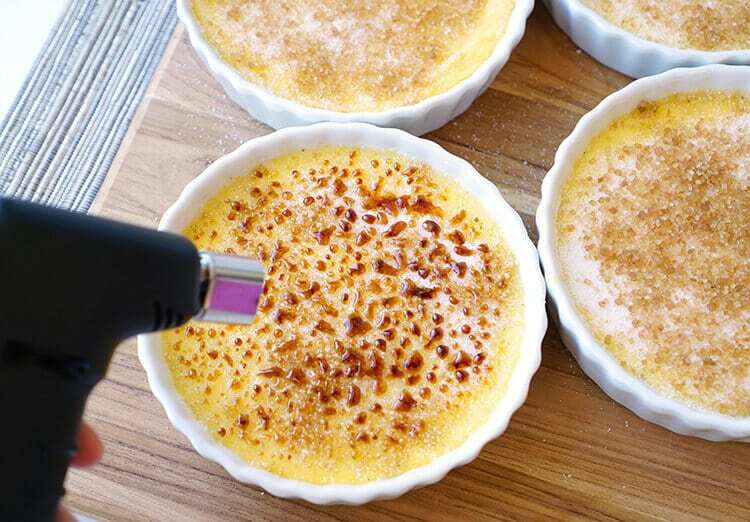 Move the torch quickly and carefully over the surface of the creme to melt and caramelize the sugar. Return to refrigerator to chill for 20-30 minutes. 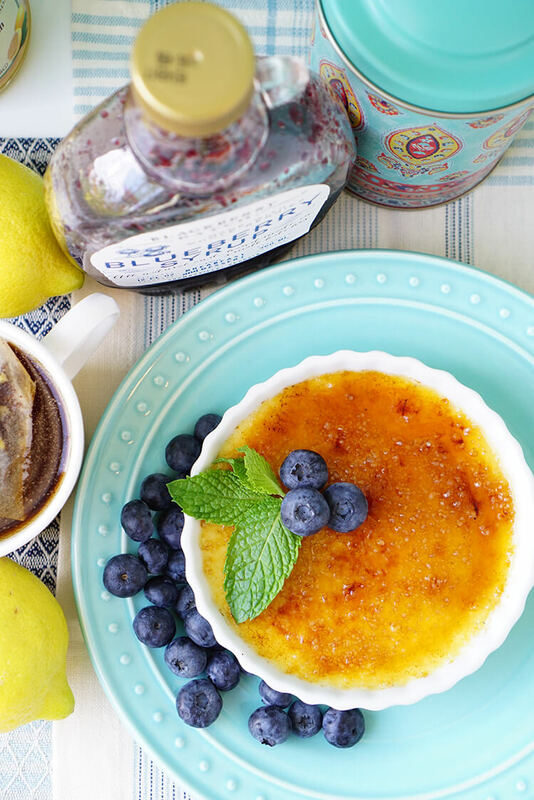 Garnish the creme brulee with fresh blueberries and a sprig of mint – delicious (and gorgeous!)! It really IS almost too pretty to eat! 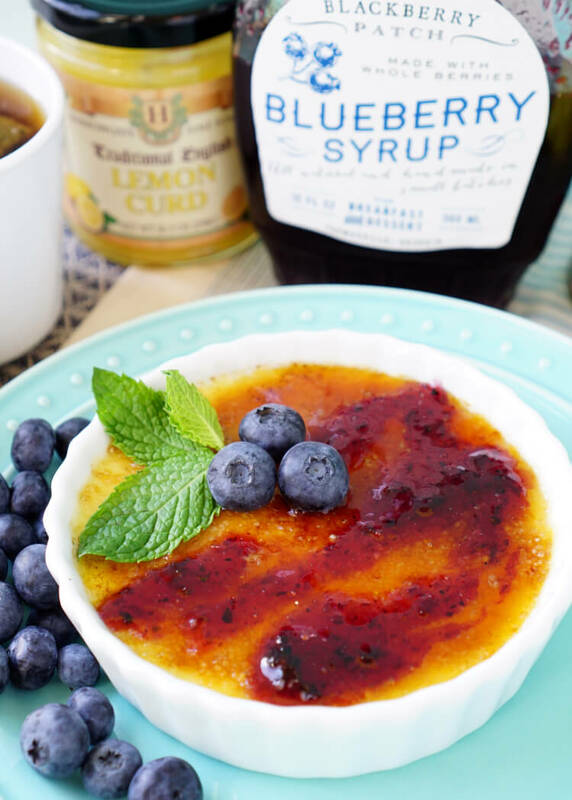 As delicious as the lemon creme brulee tastes as-is, it’s even MORE delicious when it’s topped with a hearty drizzle of blueberry syrup! 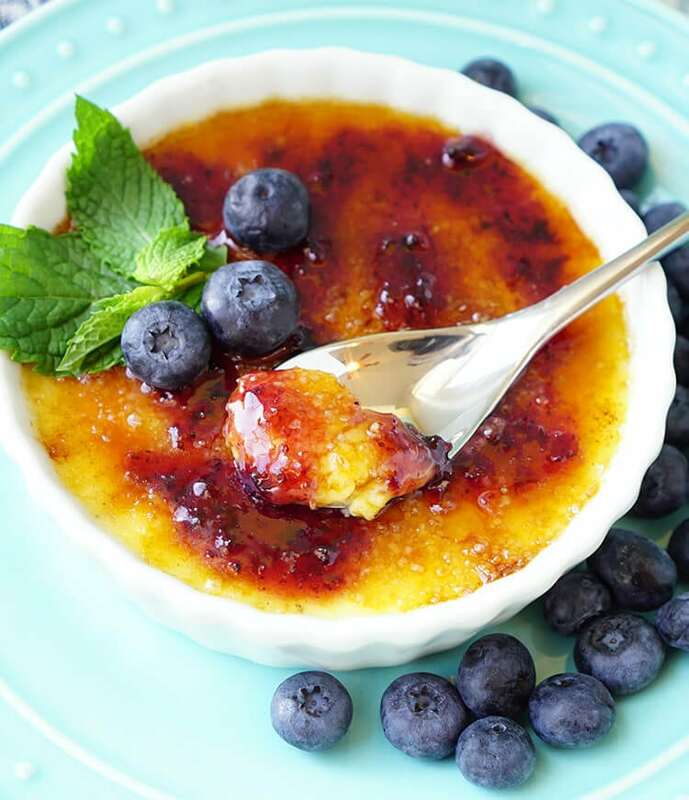 It makes for a seriously divine dessert, but I’m going to start campaigning for lemon blueberry creme brulee for breakfast as well! All of those fresh berries and bright lemon cream make my mouth happy at any time of day! 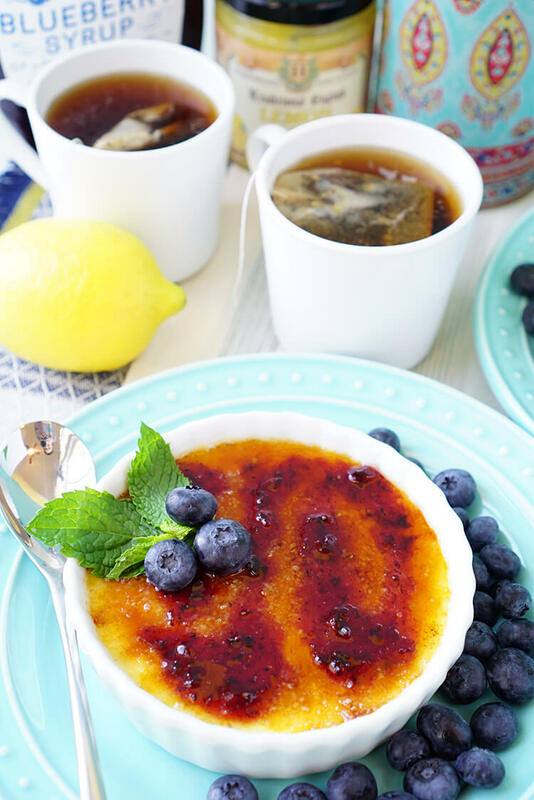 Confession: this was actually the first time that I’ve ever made creme brulee, and it was WAY easier than I expected it to be! Yummmm! 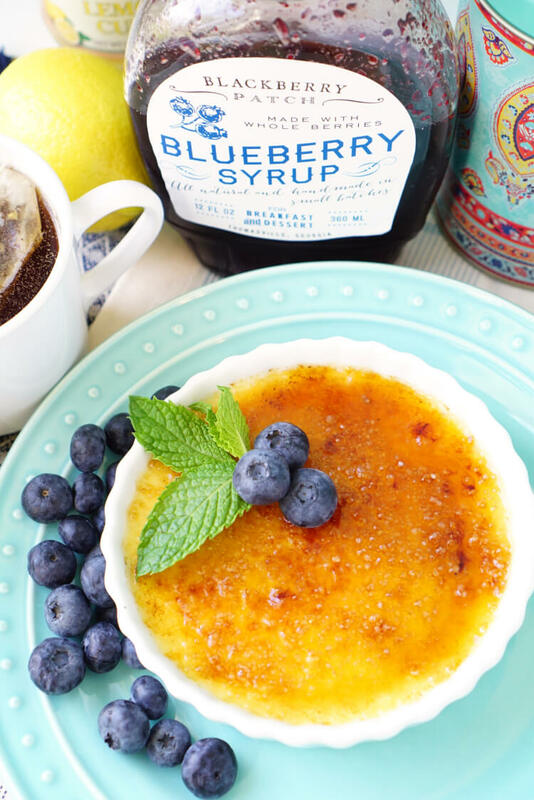 The mildly tart brightness of the lemon creme is the perfect counterbalance to the sweetness of the blueberry syrup, and they both pair perfectly with the crunchy sugar shell topping. SO good! It was even more delectable and delicious than I had hoped it would be! 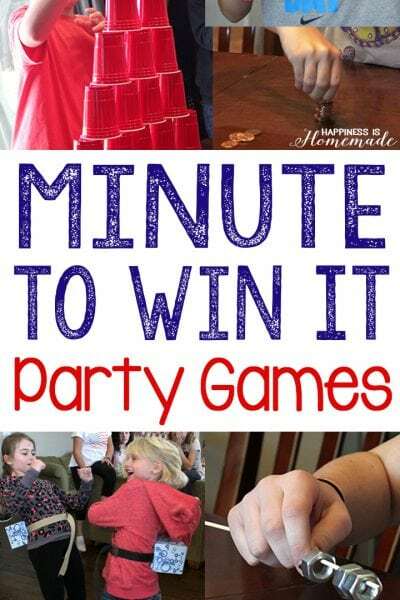 I seriously impressed myself with this one – and if I can do it, you definitely can, too! Scrape the seeds from the vanilla bean pod, and adding them a pot of cream. Heat the cream and vanilla until it begins to lightly boil. 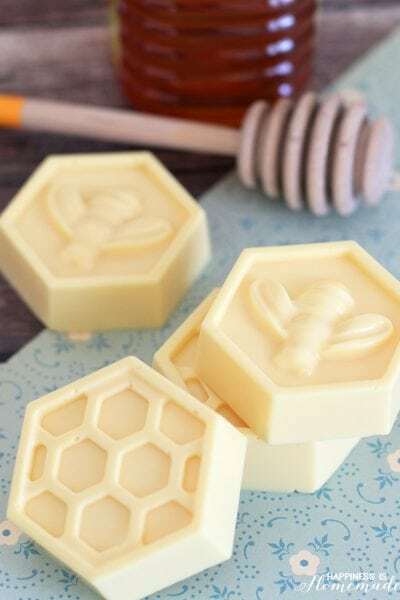 Remove the cream from the heat and allow to cool for 15 minutes. 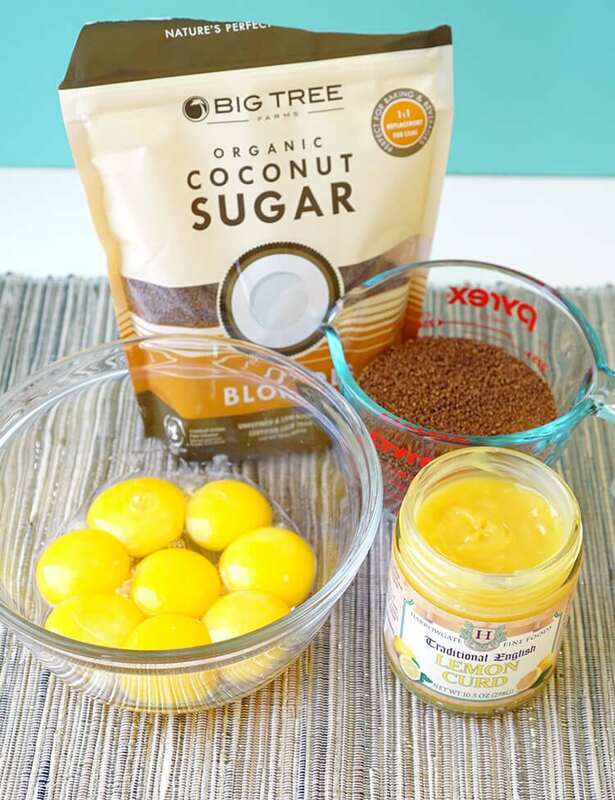 In a mixing bowl, whisk together 3/4 cup of the coconut sugar, egg yolks, salt, and lemon curd. Bake for 35-40 minutes until the creme is set, but still slightly jiggly in the center. Cool at room temperature for 30 minutes and then in refrigerator for 2-3 hours. 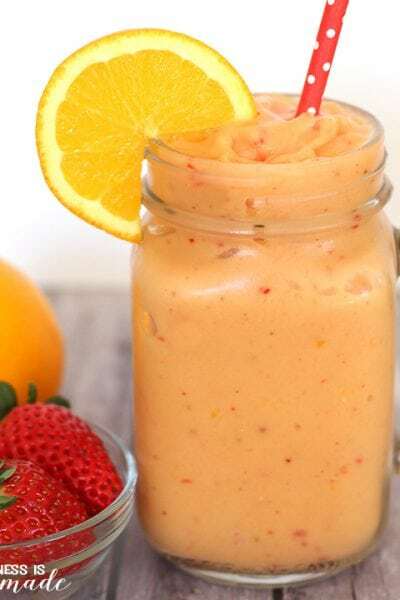 Remove from refrigerator and allow to rest at room temperature for about 15 minutes. 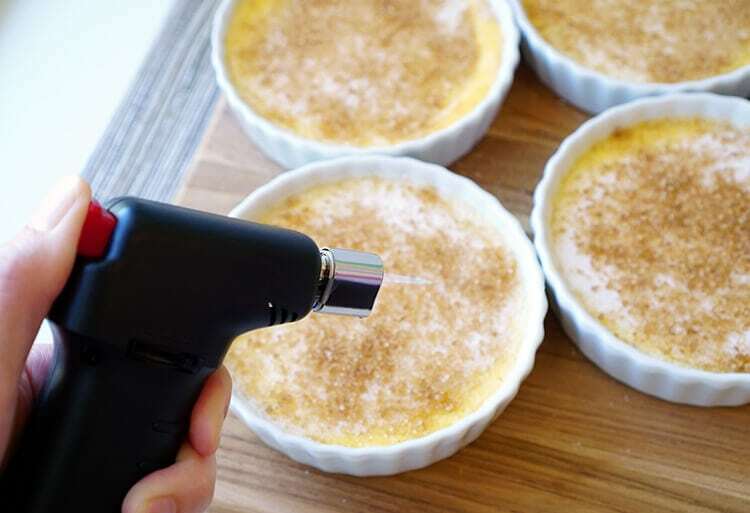 Sprinkle the tops with sugar (I used a mix of 1/4 cup each white sugar and coconut sugar) and turn on the torch. 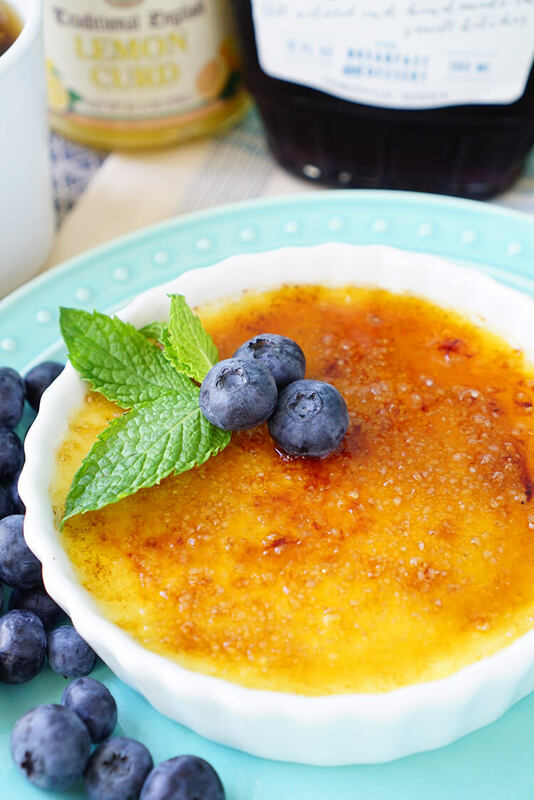 Move the torch quickly and carefully over the surface of the creme to melt and caramelize the sugar. Return to refrigerator to chill for 20-30 minutes. Serve cold. 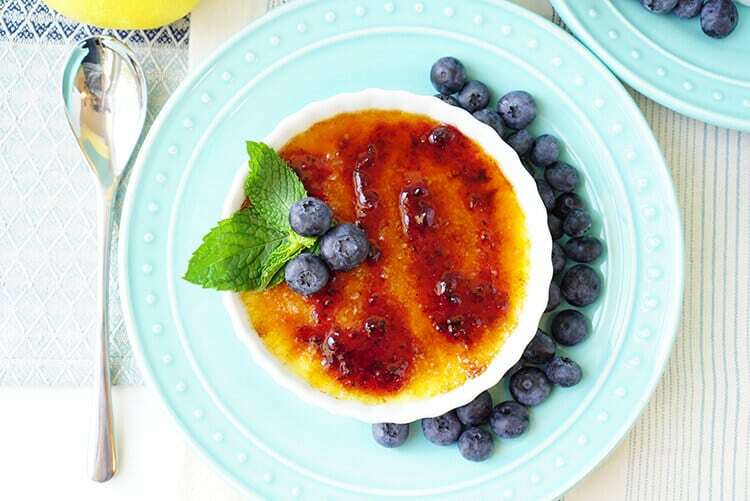 Garnish the creme brulee with fresh blueberries and a drizzle of blueberry syrup.